At College Futures Foundation, we believe every student should have the opportunity to succeed in college, but too many low-income students never enroll or leave without a degree. A new study, conducted by the Public Policy Institute of California (PPIC) and supported by College Futures, examines the role of grant and scholarship aid in California in making college more accessible to these students and helping them attain degrees. The study also shows how grants and scholarships have not kept pace with sharp increases in the complete cost of attending the California colleges that enroll most low-income students. Making College Possible presents findings and recommendations useful to legislators, educators and college administrators. A companion Technical Appendix provides data sources and methods. 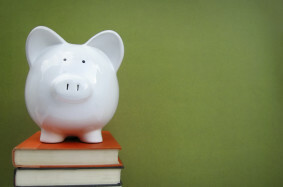 Financial aid lags rising costs. While total financial assistance available through federal grants, Cal Grants, institutional aid, and private scholarships has increased, the actual cost of attending community college or the California State University has increased for low-income students. This is especially significant considering that almost 60 percent of the state’s K-12 students qualify for free- and reduced-price lunch programs, a proxy for low-income status. Financial aid enables four-year enrollment. Grants and scholarships make it possible for low-income students to attend four-year colleges. This is important because students who begin their college careers at a four-year institution are much more likely to earn a bachelor’s degree than those who attend a community college and later try to transfer. Financial aid increases likelihood of graduation. Students who receive this type of aid are more likely to graduate, regardless of the college they attend, their family income, or their grade point average. Financial aid does not need to carry performance requirements to work well. Performance-based grants do not seem to have greater effects than other types of grants, largely because students already must meet institutional academic requirements to remain enrolled in college. Legislators, educators, and college decision-makers may find direct application for this research in their work. We are eager to share it, enabling stronger, evidence-based practices in financial aid—and opening doors to higher education and a better life for more low-income California students. Receive news, resources, and updates from College Futures Foundation.